Need a little something to make sure your vehicle's interior just right? RealTruck can help you with this dilemma. MODA steering wheel covers are going to be that perfect little something. They come in a variety of different designs and colors, from cheetah, zebra, black, red, tan, to Hawaiian and many more. There are 19 to be exact which will make it easy to pick out the best one that matches your personality or interior. You can install these beauties in a jiffy. All you have to do is slip it onto your steering wheel and you're on your way. 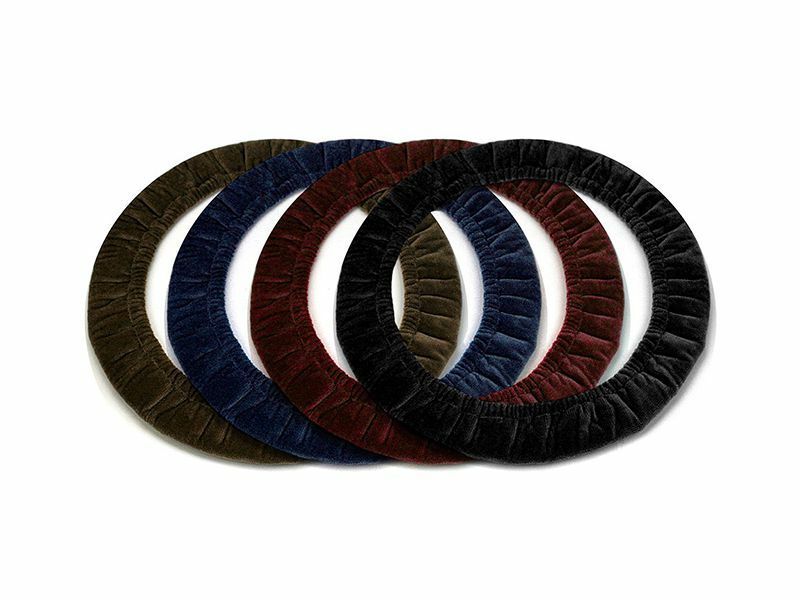 Because the MODA steering wheel covers are made out of a soft velour, your hands will get the comfort they deserve in cold or hot temperatures. They even protect your steering wheel from normal wear and tear so once you take the cover off it'll look brand new. If your steering wheel cover gets dirty, don't worry about it, just throw it in the washer and you're good to go. If you want to protect your steering wheel or your old steering wheel grip is worn out a MODA steering wheel cover is what you need. Installation on MODA steering wheel covers are very easy. All you have to do is slip it onto your steering wheel and you'll be the talk of the town.